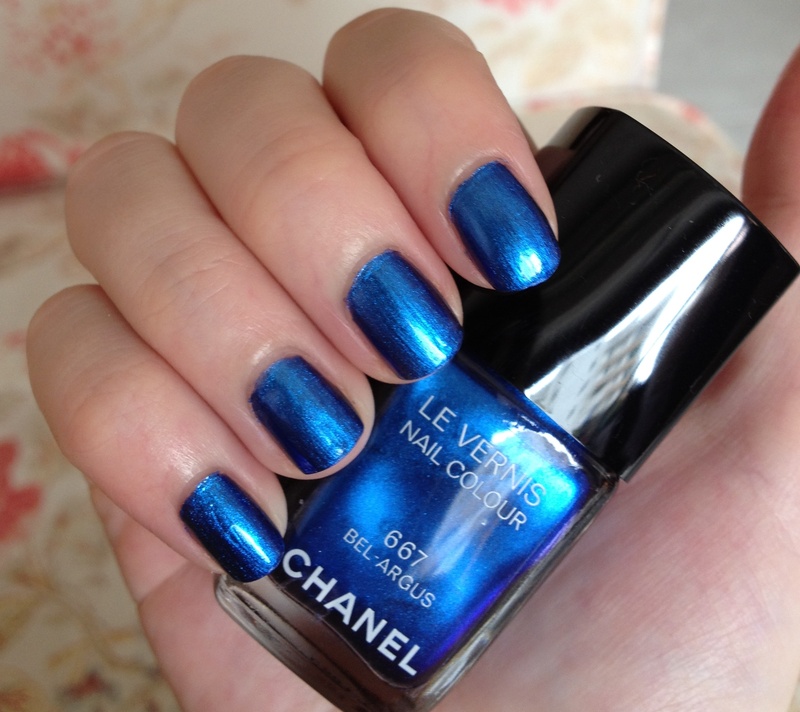 Bel Argus is a stunning sapphire, a beautiful royal blue metallic shimmer that positively glows with gorgeousness. Sparkling sapphires is a more classy comparison, but I have to admit that when I first saw Bel Argus, it reminded me of a super shiny sweetie wrapper… a brilliant blue version of Quality Street’s Big Purple One! 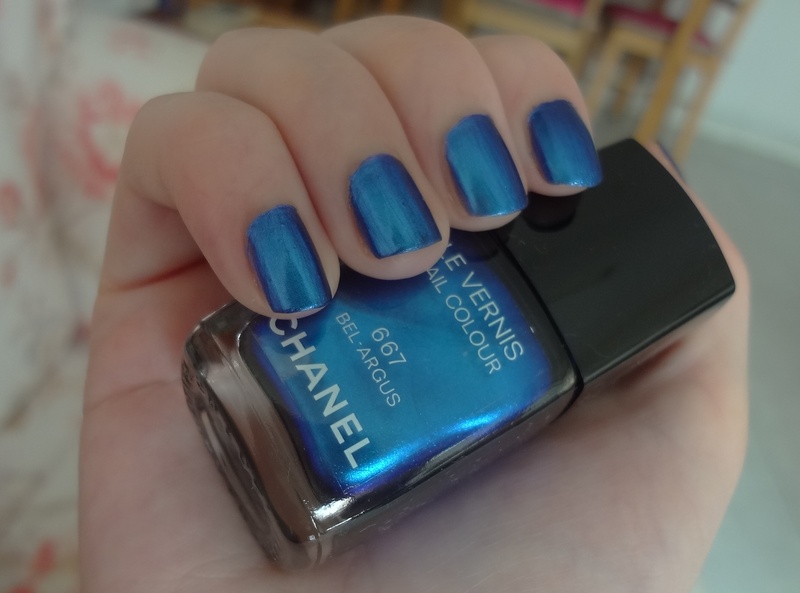 Bel Argus has that same butterfly’s wing iridescent flash to it as Azure – slightly less of a duochrome than its Chanel sister, but still pretty nonetheless. It’s a bit of a shyer beast than Azure too, only appearing in certain lighting, but the inky indigo-purple tinge that laps at its blue edges is quietly beguilingly captivating. Bel Argus has a thicker consistency than Azure, making it a little more difficult to work with – although the colour is a lot stronger than Azure, meaning you can get away with only two coats compared to Azure’s two to three. However, I did find that Bel Argus chipped really quickly – a real shame considering how strongly those butterflies in my tummy were fluttering for this gorgeous colour! 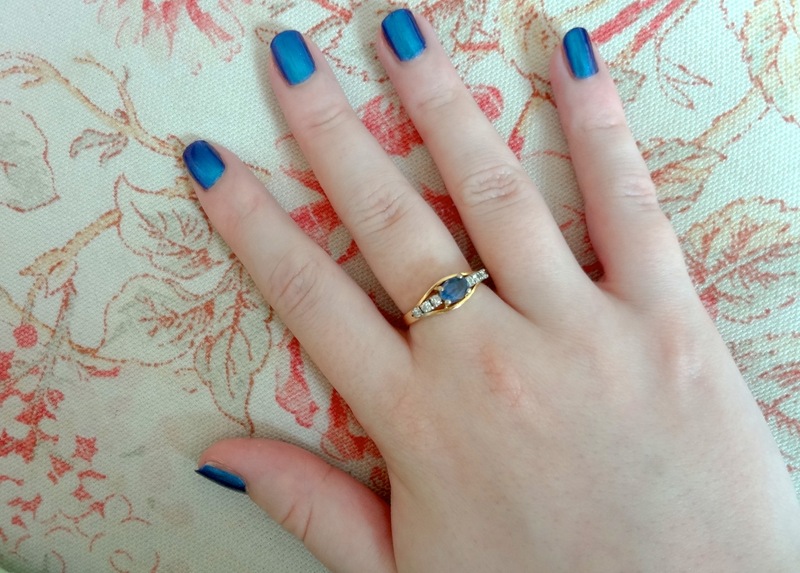 I was actually surprised by quite how hard I ended up crushing for Bel Argus – this shade and finish of blue is just so striking and flattering on the nail. It’s deep, rich, wet and expensive. 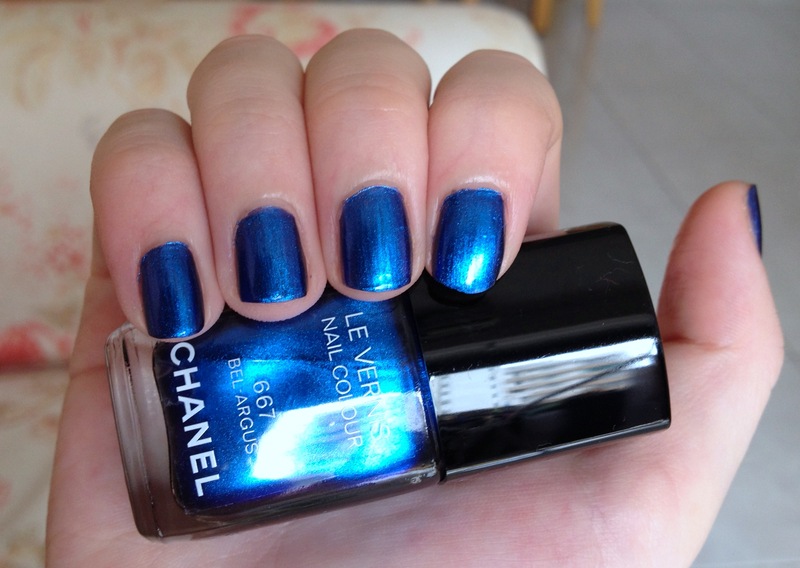 When Chanel get it right, they get it so right. J’adore. 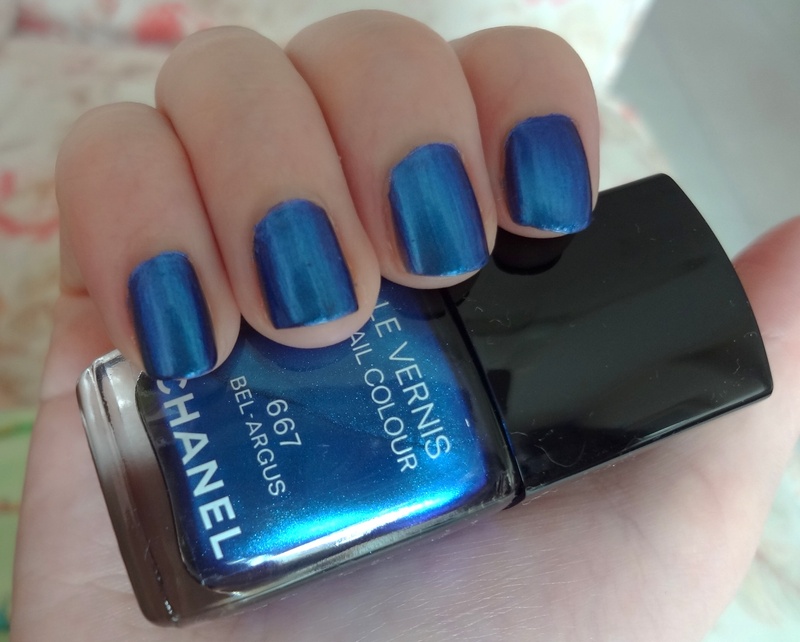 This entry was posted in Beauty and tagged Beauty, Bel Argus, blue, Chanel, Chanel Bel Argus Le Vernis, cosmetics, duochrome, L'Ete Papillon de Chanel, make-up, metallic, nail lacquer, nail polish, nail varnish, photos, review, Summer 2013, swatches. Bookmark the permalink. I have unsubscribed a few times but am still receiving emails. Pls can you remove me. Sorry about that – however, I asked WordPress (who host my blog) and unfortunately, they do not allow blog owners to unsubscribe people for them! 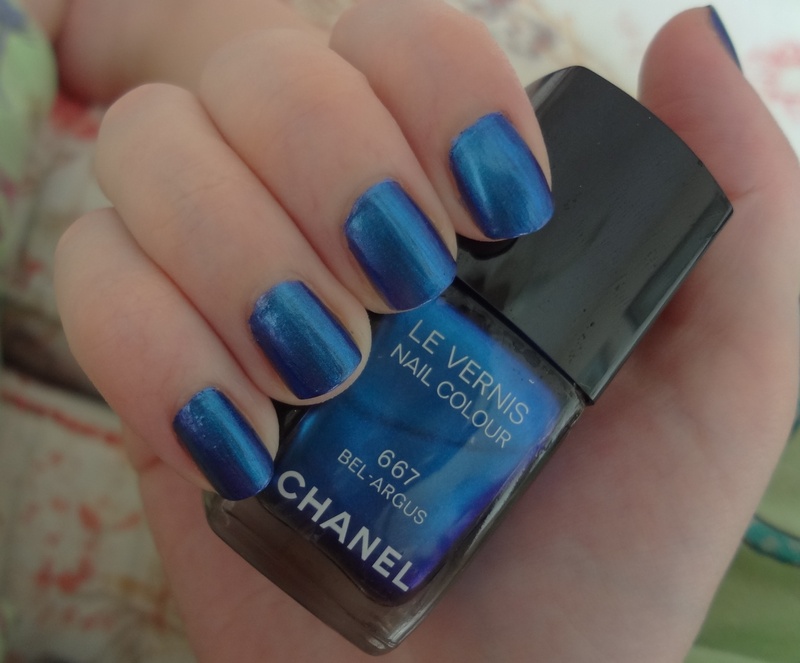 Thanks Jenn ^.^ You should get it if you find it – you know how long Chanel limited edition things last!! Thanks 😀 I have Fantasy Fire in the stash but not tried it yet..!